Picture of Today 2/9/16, Rest at Sunset..
Over yonder to the Harbor island area of Seattle’s south industrial ports.. The mechanical beasts are finally rested after another productive day. 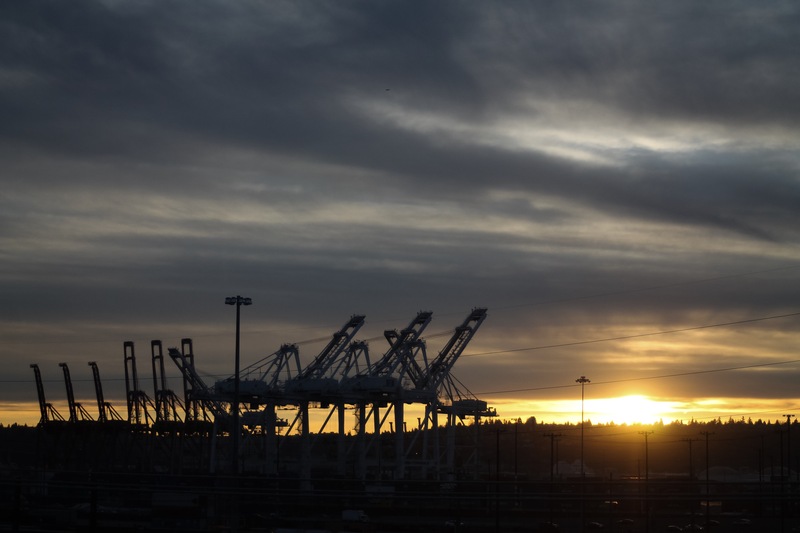 The beautiful sky during sundown was a nice spiritual bonus..
Posted on February 9, 2016 by Orion T.	This entry was posted in Photography and tagged cranes, industrial, Photography, Seattle, sunsets. Bookmark the permalink. ← Picture of Today 2/7/16, the Winter Wonder of Mt. Rainer..